I think I said in a post recently that I suffer from a big projects fatigue and needed some instant gratification when it comes to sewing. Well, I am not walking the talk, because I just committed to do a big project which involves pattern making, seam sealing and a few complicated construction details among other things. Plus a lot of thinking. I’ve been planning to do a ski/winter jacket for a few years now, but have balked at the commitment. But then I saw this magical jacket from Fusalp and just knew I had to do something similar. And then I saw that Pattern Review was having a fashionista bargainista competition I figured it would be the perfect set up for accountability and having a deadline. The bargain angle is that the original jacket costs 550 euro, roughly 600 USD. And while good quality functional fabrics and notions are not cheap in Sweden, I still count on making this for no more than 15-20 percent of the original price. 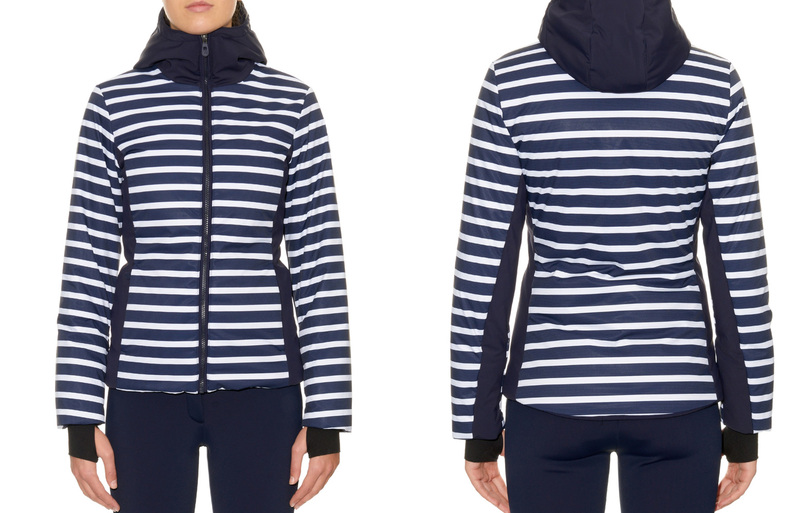 Sadly the stripes, which kinda makes this jacket, are a no go, since I couldn’t find anything even remotely similar. Most hi tech functional fabrics available here tends to be solids, but at least I managed to score a blue soft shell fabric with an interesting, almost suiting like, surface. I know this fabric well since I used the grey version for my ski pants, so this set will match nicely. 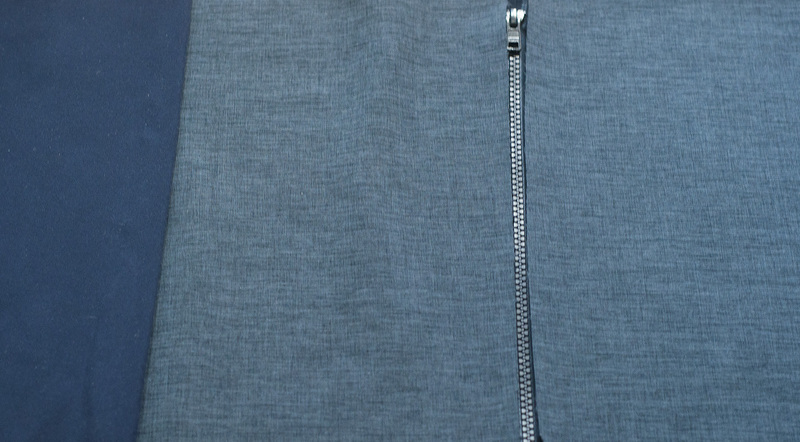 And for the collar and side panel I will use a navy soft shell that is very similar to the original jacket. I will use my method for cuffs with thumbholes and also need to figure out the construction of the hood which is quite unique, it almost looks like a standing collar from the front. But I’m the most nervous about sealing the seams to make the jacket withstand rain better. But a friend of mine has successfully sealed two jackets with some seam glue that she bought locally, so I will probably do use the same product.